The contribution of Android to the sphere of communication and it’s widespread acknowledgment worldwide has turned the world into a global village. The droid messaging apps have left the traditional text SMS system owing to its easy to use and free of cost features which attract a large number of users to their platform. So if you are the one searching for the best android application that lets you send messages for free to your loved ones, share information with your friends and relatives and discuss your business details (via sharing files), then you will get all you want under this roof. Here, we have listed the 12 best android messaging apps for free which you can download and install on your Android smartphone. Whatsapp allows you to send messages, audio video, pdf files, images and all that you want to absolutely free. You can share your messages with a group of up to 256 people at a time. Besides, you can also make voice and video calls to your loved ones for free with the end to end encryption which means that all your conversations are safe and will not be forwarded to a third party. All that you need is an Android smartphone and an internet connection and you are free to chat and call your friends without paying any bills. Another very interesting android messaging app that works on the basic notification tweaking in a bubble type form and is essential for in-flight communication. This app enables chat communication from taking off on an airplane to landing. This app basically enables you to read messages of your favorite messengers even when you cannot access your SIM in a flight and overlaps with any other application. Defined by the true spirit of android yaata app is highly user-friendly and fulfills the expectations of an Android geek owing to its powerful, reliable features and extremely amazing speed. The app supports complete multimedia features including pictures video audio Vcards GIFs archiving blacklisting auto forward auto respond custom vibrations and many more. Viber has been one of the most popular cross-platform android messaging apps that takes your experience further with playful emoticons, fun stickers and send locations (you can share a map and your location in this option) with more than 200 million users. You can send messages, share files and receive notifications every time your friends send you a message by default or you can customise the settings according to your choice. You can also create a group of maximum 40 contacts.Viber provides you the option to block chat and contacts, hide your seen and online status, manage notifications, delete messages, doodle your conversation and a lot more. The most popular android messaging app worldwide, no doubt, is the Facebook messenger where you can reach anyone 1: 1 or in a group. Messenger blows a life to your conversations and you can see when your message has been delivered to your friend and also when it is read by them. You can call, text, share files across the world for free instantly, send a map of any location, and react to your video calls in the form of masks, filters and emoji reactions. You can also express your emotions with the help of stickers and send voice messages. The latest versions also offer you a secure method of payment and money exchange with your friends. Another very easily accessible android app for messaging that allows you to send messages, photos music, videos, files and make calls for free. And guess what! You can add a friend simply by shaking your android device. This app also offers you similar kind of stickers and emojis to express your statement along with your emotions as well as to create an interesting and creative communication. 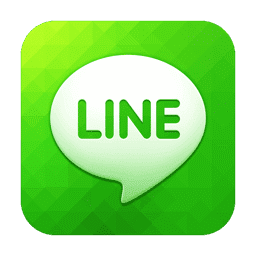 According to recent surveys, Line has been ranked as the best free android messaging app in most of the countries like Japan, Spain Saudi Arabia and more. The latest version of Line supports android wear and has an added direct download link as well. Developed by Evan Spiegel, Bobby Murphy and Reggie Brown at Snap Inc.
Another successful android messaging app on social media that offers you exciting new features like Faceswap, filters, Geofilters, and lenses along with sending messages files and photos. You can filter the photos you click and also the voice messages before sharing it with your friends.You can now even use the snapshot smartglasses as well. The most popular feature of Snapchat, however, is to snap messages and photos that expire after 10 seconds all by itself. If you want to go for a much better experience with SMS / MMS writing Go SMS pro improves greatly as compared to the stock android messaging app. It provides you pop-ups with notifications where you can customize different contacts and applications accordingly with custom themes, DIY themes, animation, 2D and 3 D effects and the multiple plug-in modes which you can download free of cost. This android app supports message backups and restores settings using your SD card, email or Dropbox. Above are some of the best and most popular 8 android messaging apps which have obviously brought in a new era and dimension to the sphere of communication.